Sometimes past clients move away, but oftentimes a little TLC could’ve saved the day. 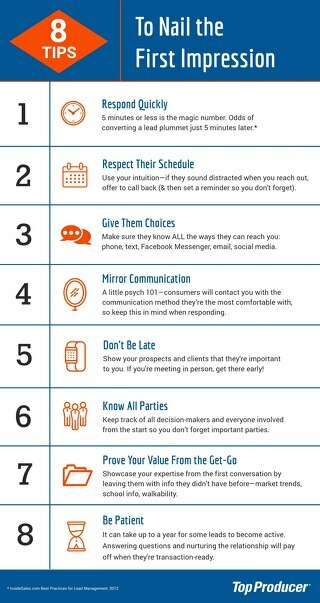 This infographic explores 3 of the reasons clients decide to leave - and how you can prevent it. We know the odds of converting a lead have a lot to do with making a memorable first impression. These 8 tips will help you build relationships that flourish beyond that first meeting. Successful agents share 3 top tips for how they're using Top Producer products to take their business to the next level. 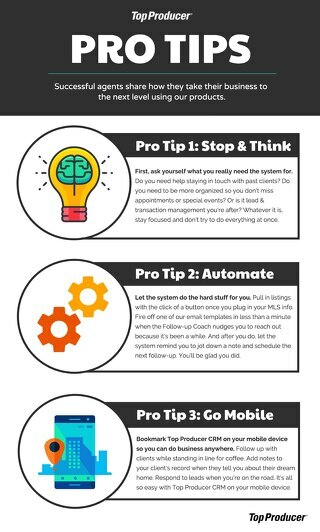 Top Producer power user Leah Goldstein shares her simple 5-step recipe that helps her ensure repeat and referral business for years to come. When you have that first conversation with a lead, you need to be prepared. Here are 5 scripts to help you handle common objections. From text & call scripts, to activating the law of reciprocity so leads are more likely to engage, Travis Robertson shares his strategies for drumming up new business to reach your goals. See how successful broker Helene Nunez breaks down her week to ensure the majority of it is spent doing what she does best, serving her clients. 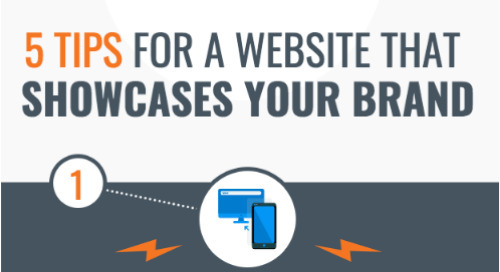 Since many prospects will be forming their first impression of you with a quick Google search, your website needs to be sleek, mobile-friendly and accurately showcase your brand. 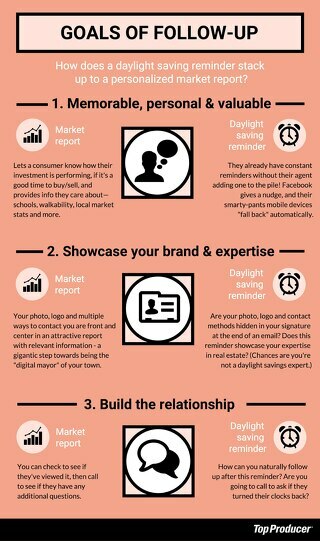 How does a daylight savings reminder stack up to a personalized market report? It doesn't! Make sure your follow-up provides valuable information for prospects.